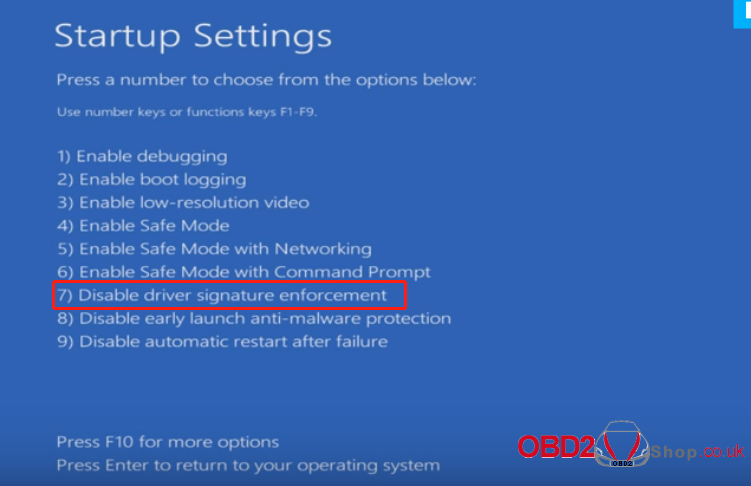 Here are the operation steps for Lonsodr JLR IMMO key tool driver Installation on WIN 10 computer system. 1. 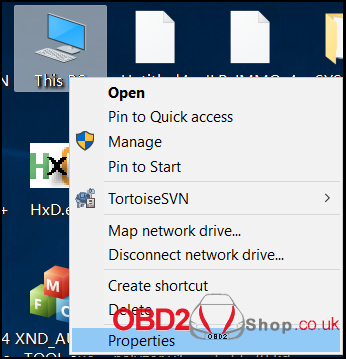 Click bottom left button (in below red box) on desktop. 2. 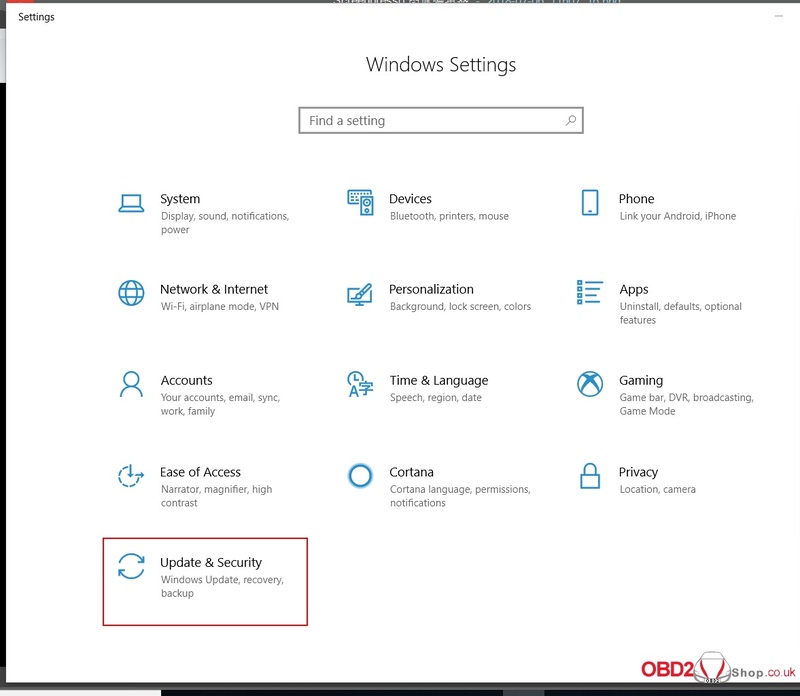 It pops up below window, click “Settings” icon. 3. 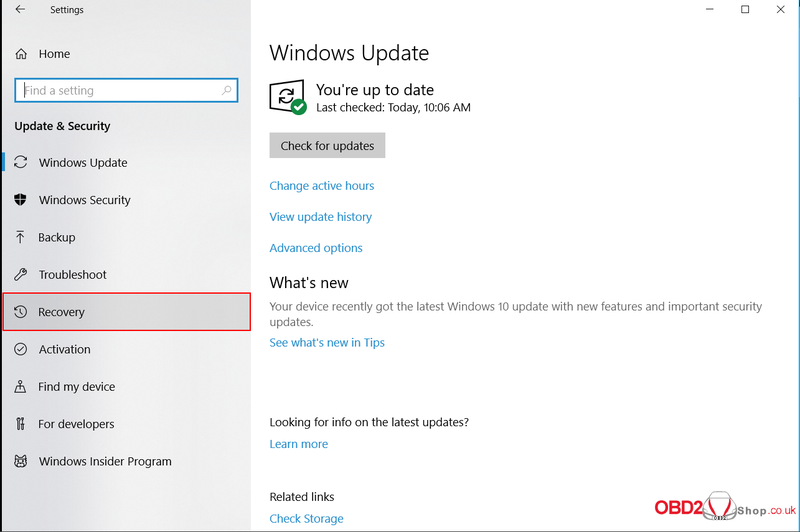 Then click “Update & Security” button (see below red box). 4. 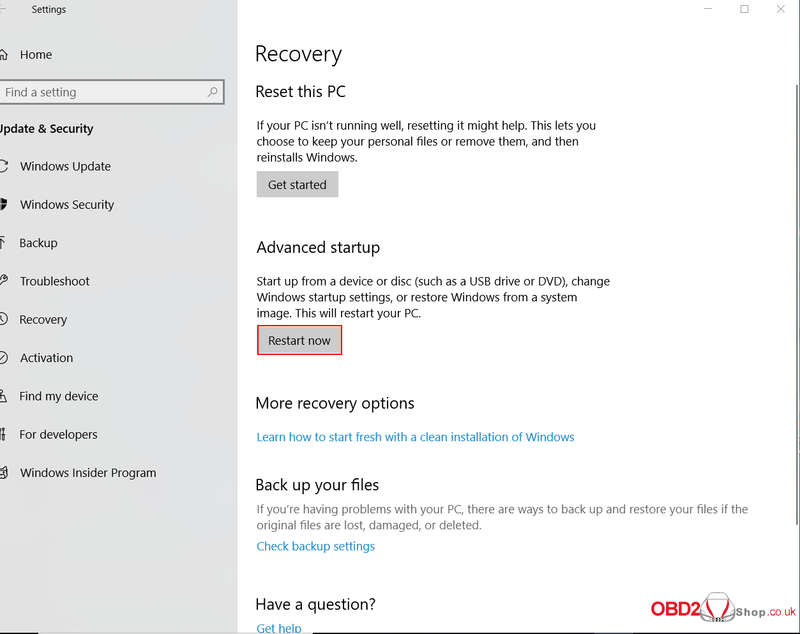 It skips to below window, click “Recovery” option. 5. Click “Restart now” button. 6. 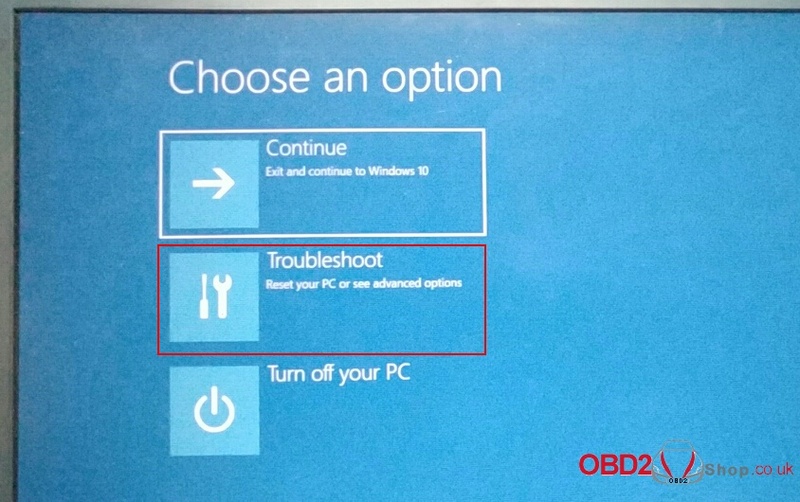 Then click “Troubleshoot” button. 7. 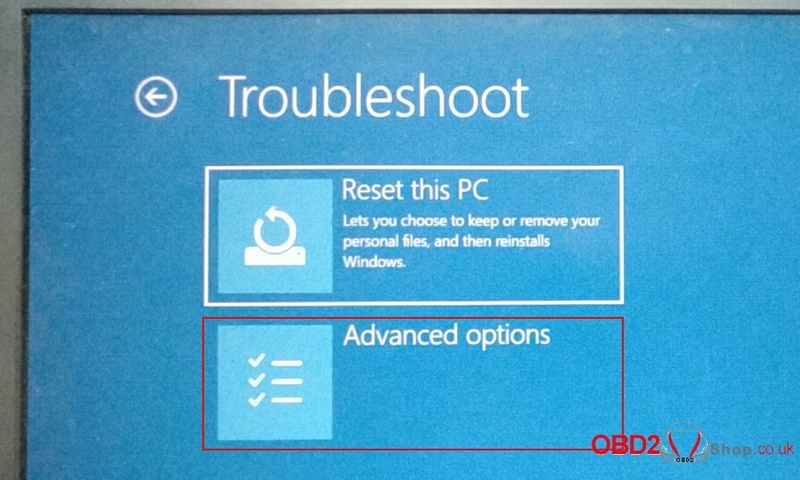 When it pops up below window, click “Advanced options”. 11. Connect the device to computer with USB cable. 12. 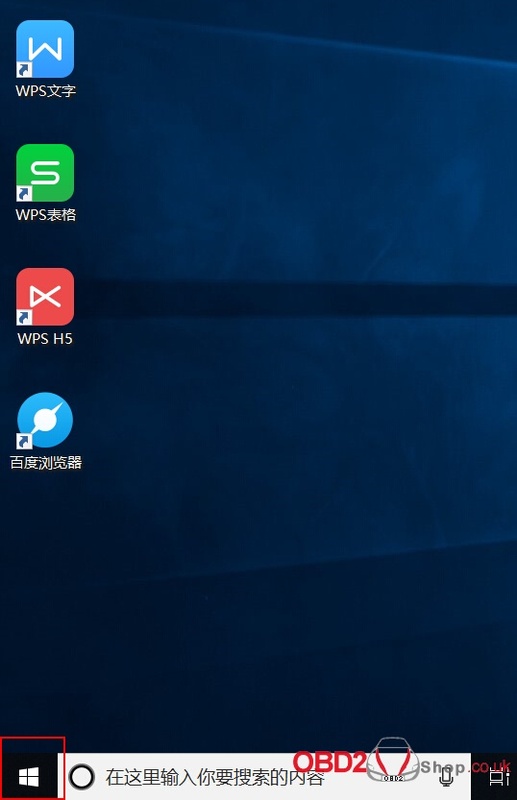 Right click “This PC”, it pops up below menu. Click “Properties”. 13. 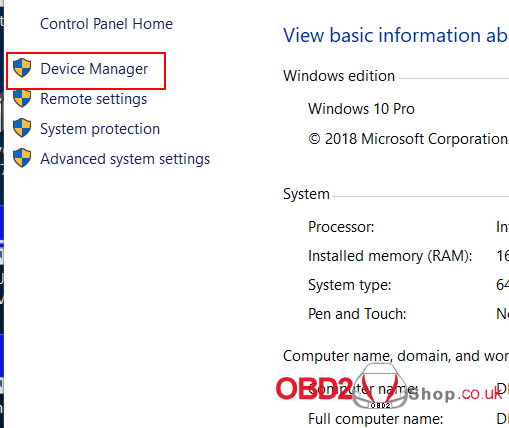 Click “Device Manager” (marked in red box). 14. You will see a pop-up window as below. 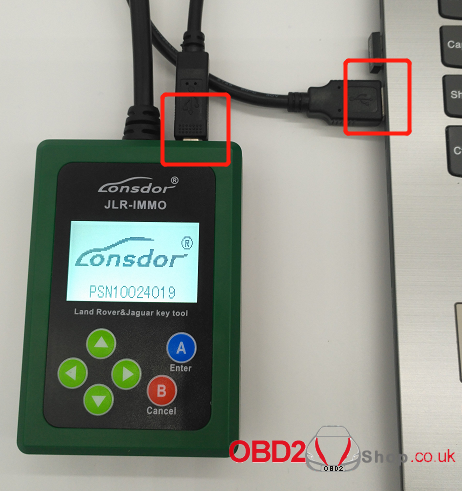 Click “Other devices”, “JLR_IMMO-SERIES”device shows here (marked in red box). 15. 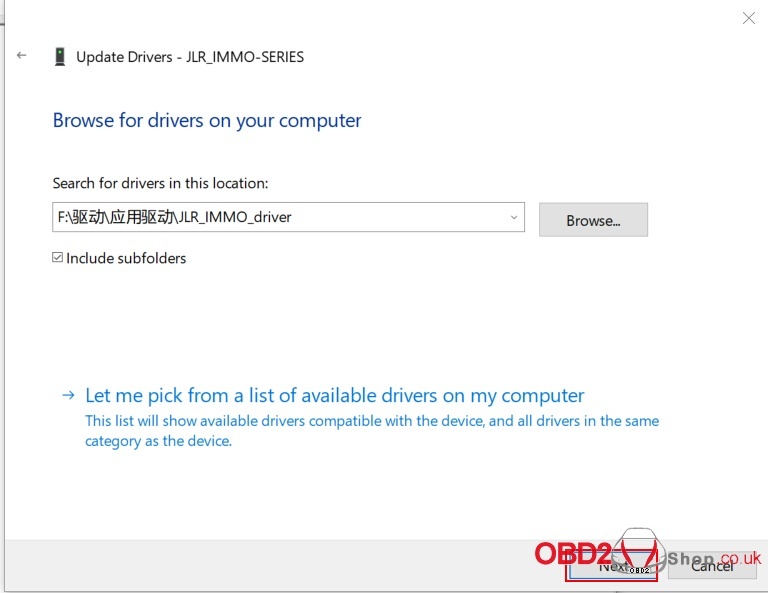 Then right click “JLR_IMMO-SERIES” device, it pops up the following menu. 16. 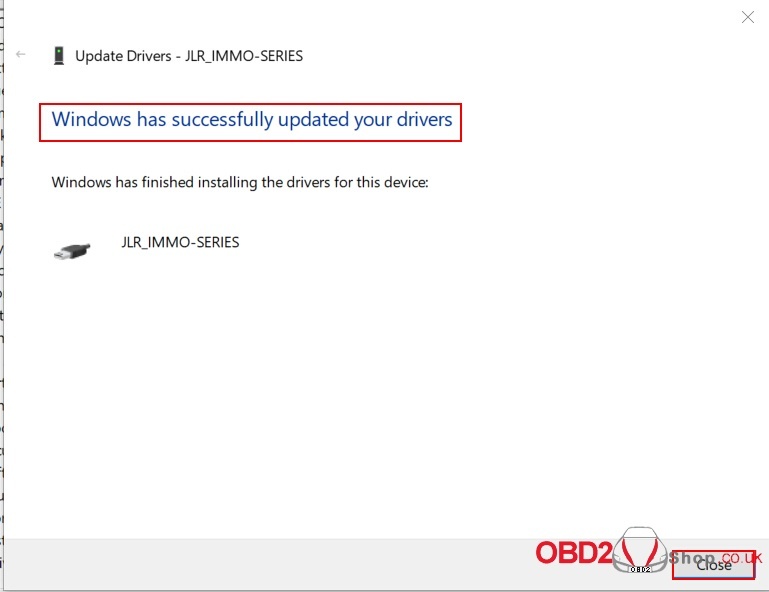 Click “Update driver” , it skips to below interface. 17. 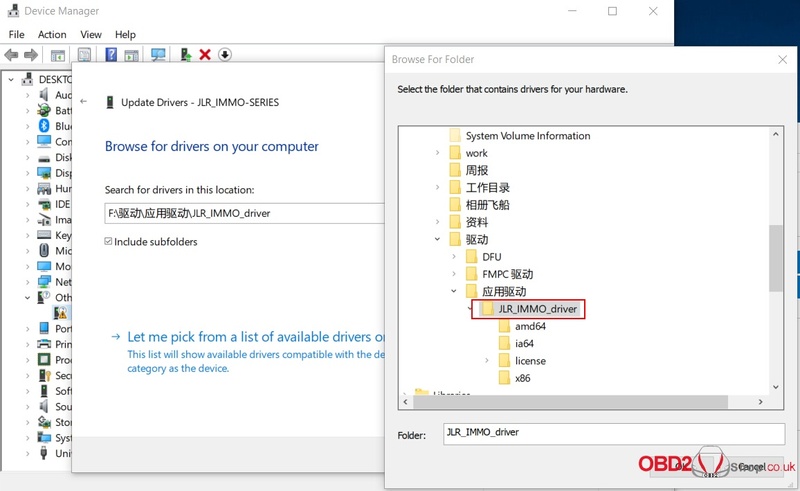 Click “Browse my computer for driver software” to search and install driver software manually. Then it skips to below interface. 18. 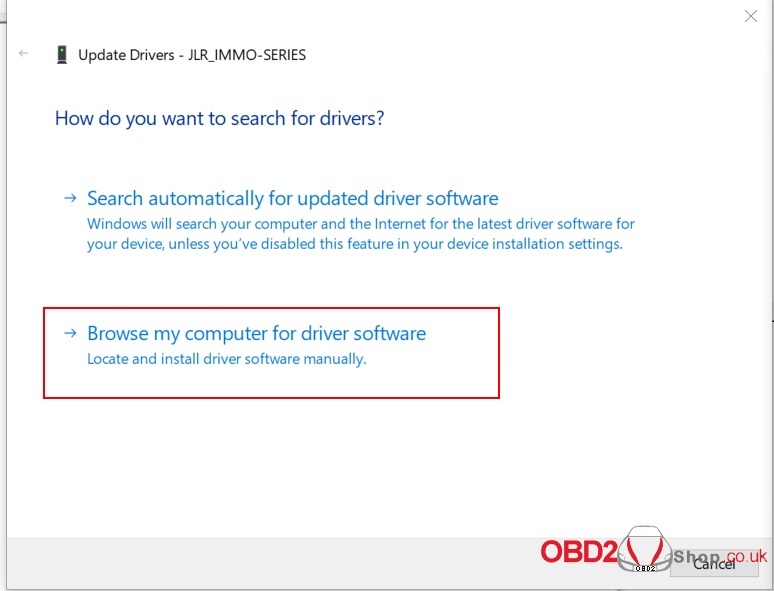 Click above “Browse” button to locate downloaded driver directory, then click “OK” to confirm. 19. 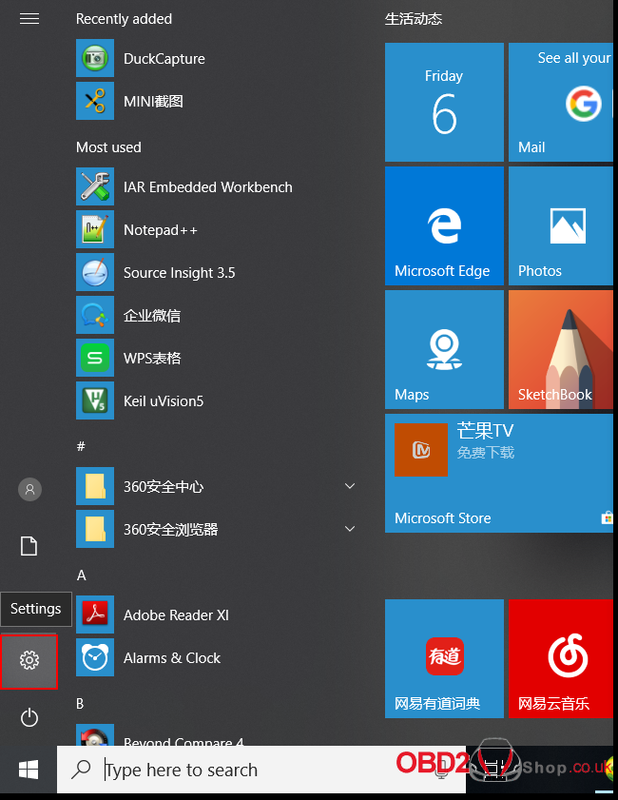 It skips to below interface, click “Next”. Installation succeeds. 20. 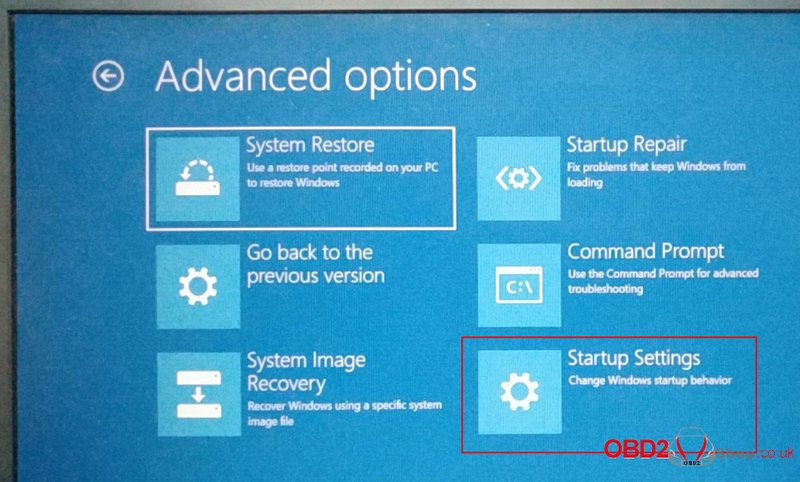 When it pops up below window during installation, click “Install this driver software anyway”. 21. When it pops up below window, it means installation succeeds. Click “Close” button. 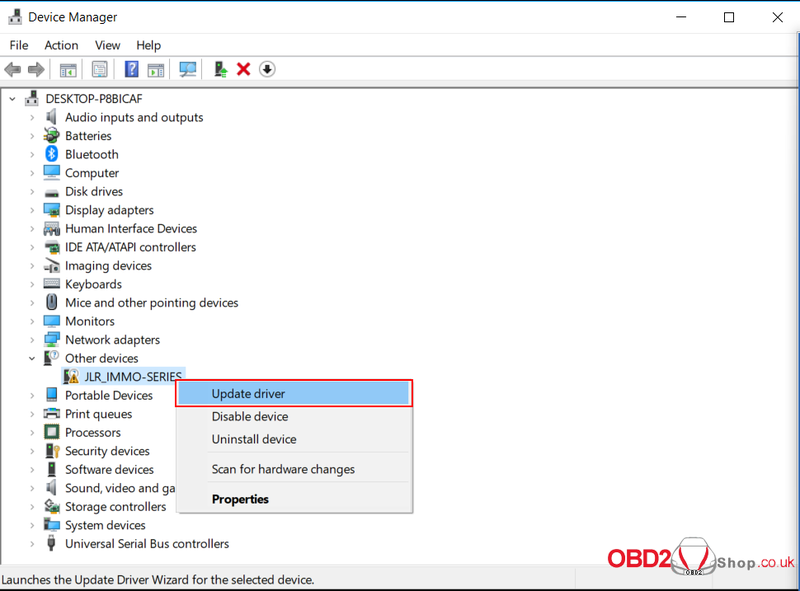 How to install UPA USB ECU Programmer V1.3.0.14?